Things are as messy around here as ever. I haven't touched the studio, as I was waiting on a special order of fabric to come in, and well, it's not coming. Or rather, it came, and it's wrong... the stress of this has been pretty miserable and I don't want to waste time writing about it here. See that beautiful little scrap of blue linen under the bowl? That's what I wanted, but it's not what I got, and my whole line for the HEM summer projects is pretty much, well, up in the air now. BUT. I've learned a great deal, hopefully I'll be doing a bulk order with my favorite fabric store, and so onward and upward. No time for regrets here. Oh - also, see that sweet little copper-colored open ring in that stack? Second from the bottom? That's my newest addition, a totally gorgeous understated piece handmade by Joanne. Lucky me! So all is quiet on the Western front right now, since I am having to re-write my plans. But I am leaning towards a new direction and it feels good to trust one's instincts, sometimes. Even if it means a misstep along the way. 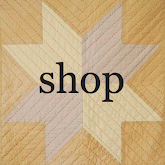 So while I bide my time on quilting, I've been keeping busy doing other things. 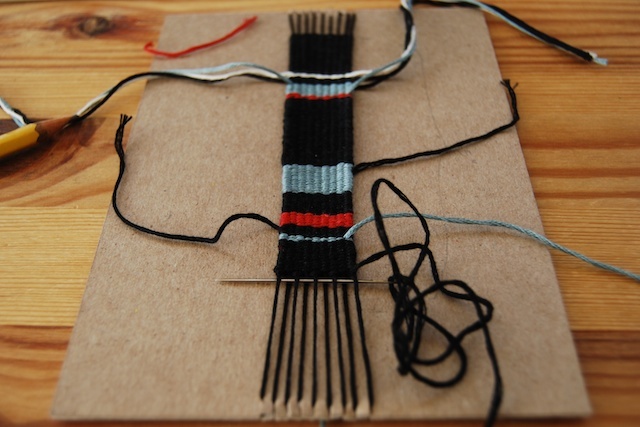 Weaving a simple little bracelet, knitting Kai's never-ending sweater. And, perhaps the most exciting homemade thing going on these days, brewing kombucha! I took some photos over the weekend, I will edit them and get them up here soon. Now I'm just crossing my fingers that I didn't accidentally kill my scoby. Happy Monday, friends (again)! I'm sure the right fabric will be found. And now I'm excited to see your Summer plans emerge! I love those rings! All of them!! 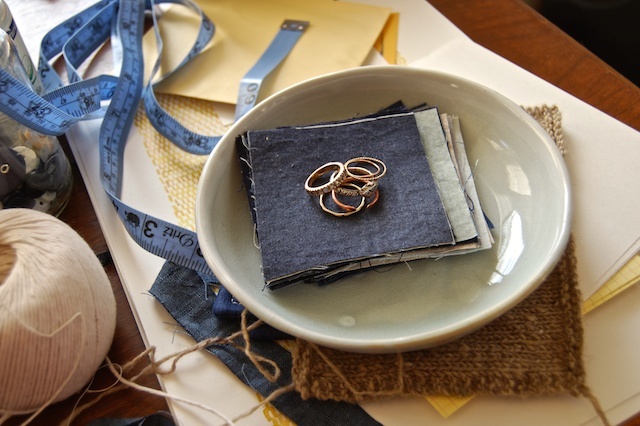 I have a fondness for rings that look "antique" - and to me, that is what yours look like!